Deep foundation helical piers/minipiles support new structures that would be built on weak soil conditions. Anchors are rated by the building codes for typical working loads of 10 to 20 tons. Chance Helical Pier Foundation Systems are used on commercial or residential buildings to raise and stabilize settling foundations. Micropiles incorporate a grout column around the steel anchor shafts for added support and higher capacities for new construction and underpinning. Tieback anchors and soil nailing are ideal for lateral support of retaining walls, bulkheads and seawalls. 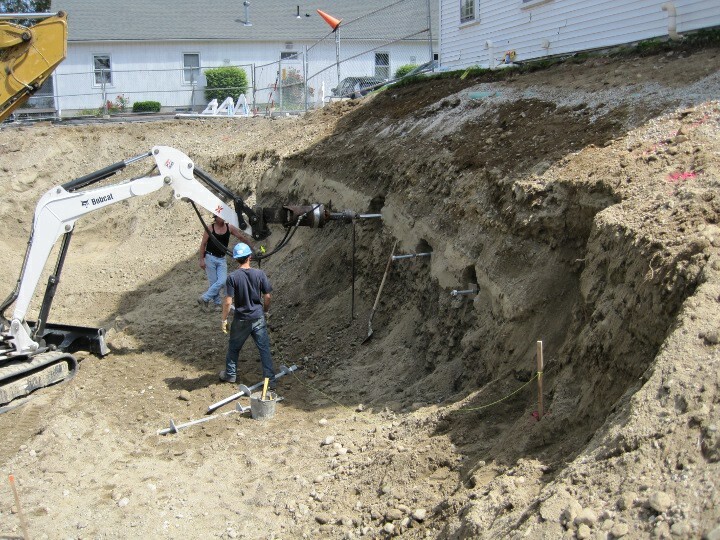 Tower foundations can use guy wires or leg/base piles using helical pulldown micropiles. Great solution for pipeline stabilization and buoyancy control.